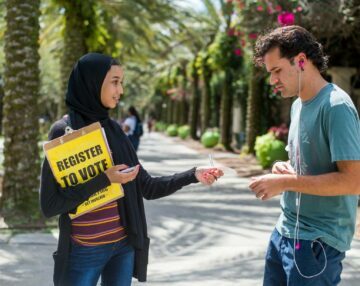 After months of major field organizing efforts in over 14 states, volunteers and staff for the Student PIRGs have helped to register more than 40,000 young people to vote and made over 200,000 Get-Out-The-Vote contacts to college students around the country. Included in that number is nearly 50,000 pledges to vote, where students commit to speaking up and develop a plan to get to the polls. With Election Day upon us, the Student PIRGs’ New Voters Project will organize hundreds of campus volunteers to make a last-minute push to drive young voters to the polls using creative events and proven on-the-ground and on-line strategies. Taylor is a campus organizer at UNC Chapel Hill. This year, Taylor recruited a team of more than 40 volunteers and interns that helped to register over 600 voters, collected over 3,000 pledges to vote, and has made just under 10,000 voter contacts to date. 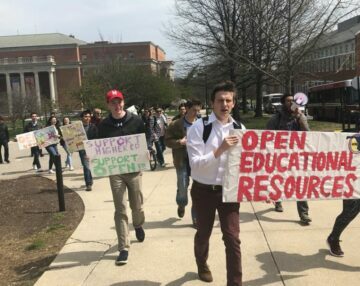 Their largest event was an early-voting March to the Polls: Taylor worked with a campus-wide coalition to organize an event that had hundreds of students in attendance, local bands, and the Chancellor of the University speak before marching with these students to the on-campus polling location on October 27th. Margaret Kran-Annexstein oversees Student PIRGs’ New Voters Project organizers in California, Arizona, Illinois, and Colorado with the aim of increasing Millennial turnout this election. Her staff helped to register over 7,000 young people to vote in those states, more than 1500 in Colorado. To date, Colorado students and staff have made more than 13,300 vote reminder contacts with a goal of generating over 21,000 by the time the polls close. Shawna Upton is an organizer at the University of Connecticut Storrs with UConnPIRG, where they have helped to register over 2,500 students to vote. Since the registration deadline, student organizers have been working to educate the student body on polling locations and transportation to the polls. Shawna got her start with the Student PIRGs as a volunteer working on the New Voters Project in 2010. Liam Horstick is a junior at UC Santa Barbara. He is the Vice Chair of the CALPIRG Students board and coordinator for CALPIRG’s New Voters Project at UC Santa Barbara. 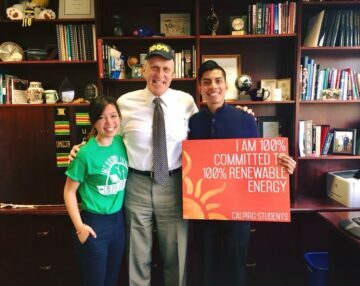 He has been involved with CALPIRG since his freshman year, recruiting and training volunteers to run grassroots petition drives, outreach to the media and meet with elected officials. More information and pictures will follow over the course of the day. The Student PIRGs’ New Voters Project is one of the largest on-the-ground, non-partisan, youth voter mobilization campaigns in the country. Over the past 30 years, we have helped to register more than 1.7 million young people and make millions of get-out-the-vote reminders.